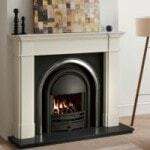 Capital Fireplaces are a local business and long-term customer that we have designed a bespoke system for. Virtual Sales Limited are a telemarketing company that we have designed a bespoke system for. Production came to us with the problem that they were finding it difficult to manage all of the paper and digital information regarding the many acts and artistes that they use.